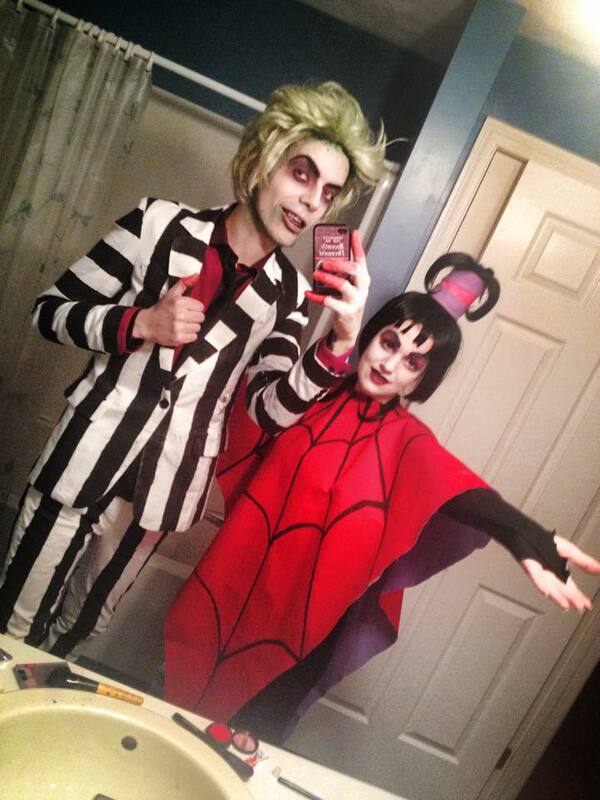 Beetlejuice Cosplay. Halloween 2014 costume, with Lydia Deetz. This is based on the cartoon tunjuk version of the characters.. HD Wallpaper and background images in the Tim burton club tagged: photo beetlejuice cartoon tim burton costume cosplay goth gothic lydia deetz. This Tim burton photo might contain tanda, poster, teks, papan hitam, and chalkboard.